If you own and raise horses, cows, donkeys or any other kind of livestock in New Mexico, then you understand just how important it is for you to provide these animals with the proper living conditions. Animals that do not have access to barns can suffer illnesses and injuries, so it’s essential for you to accommodate them and give them the shelter they need. Deer Creek Structures can help make this possible for you by setting you up with portable barns that are designed to keep your livestock safe and protected in all conditions at all times of year. Our portable barns for New Mexico residents are specifically designed to protect animals from the weather while also making it easy for you to tend to them. All of the portable barns come with standard features that make them far superior to the portable barns offered by other companies. While these barns are the smaller option, but they will provide you with more than enough space to give your livestock room to eat, sleep and grow. 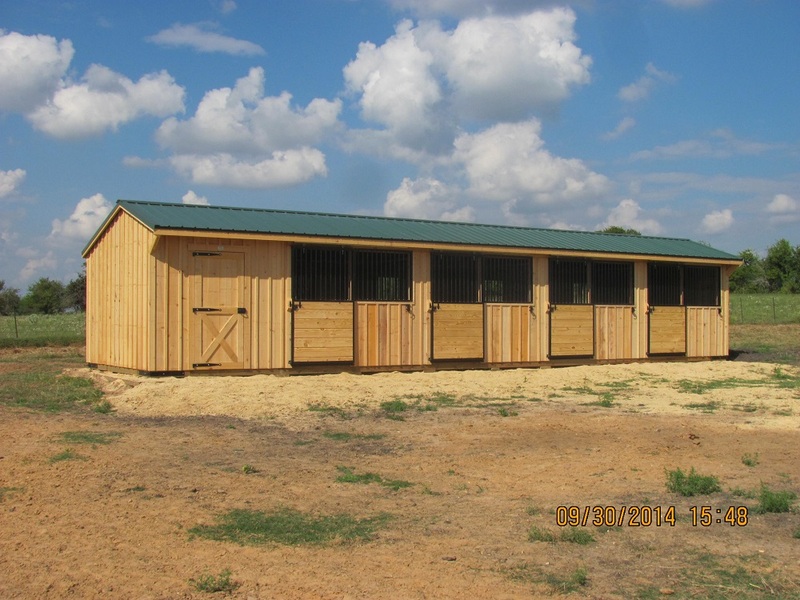 Whether you have several horses or dozens of sheep, you can configure the length of these 10-foot portable barns to meet the needs of your New Mexico property. 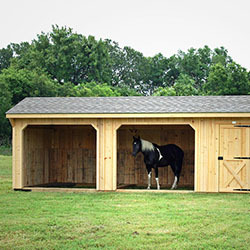 Barns can be built as short as 10 feet or as long as 50 feet, providing more than enough space for any application. These larger barns can also be custom sized – from 12 feet to 48 feet in length – and further adjusted with extra features and amenities. Choose the add-on features your need, and order a custom 12-foot portable barn and have it delivered quickly so you can have your new outbuilding set up and assembled at your New Mexico property in no time. These portable barns have built to last from top to bottom, starting with 30-year architectural shingles on top that will easily handle any kind of weather that is thrown at them. 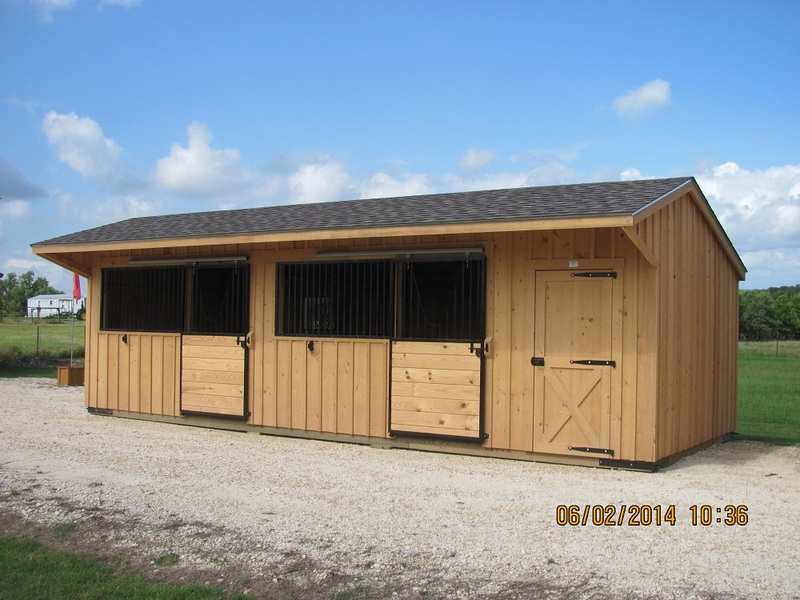 Looking to add some extra amenities to make your new barn the perfect building? 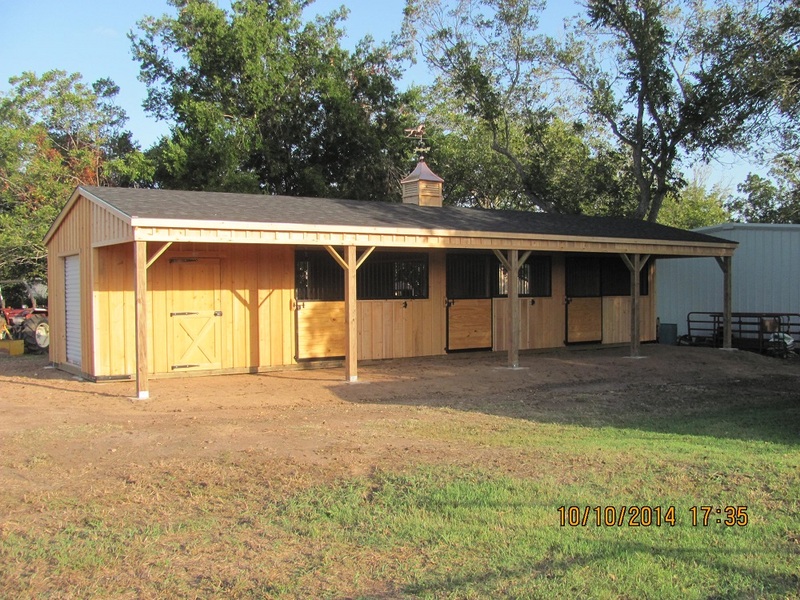 Deer Creek Structures also offers on-site construction options for portable barns, as well as staining and sealing services to help protect your new structure. 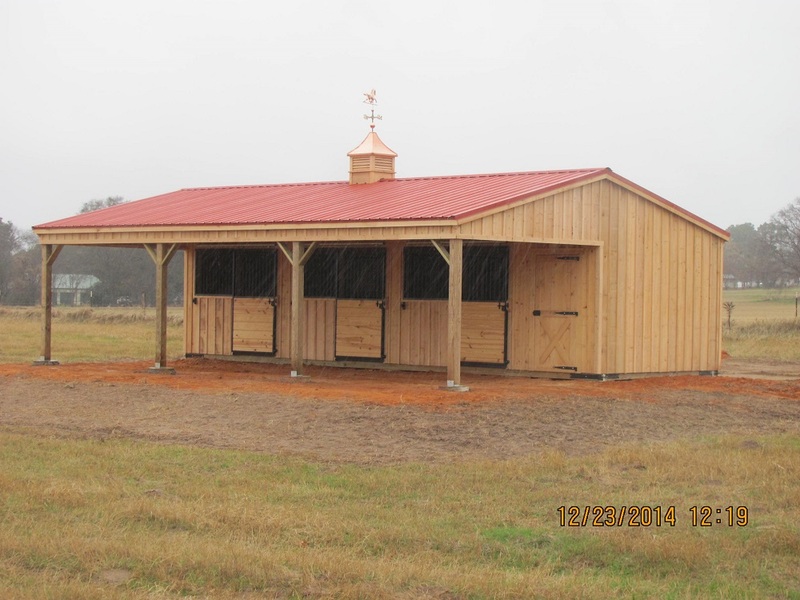 The barns are also constructed with cypress board and batten exteriors. This strong and durable cypress wood is capable of withstanding all kinds of extreme conditions while also serving as a natural insulation layer for the barn, helping to keep your livestock cooler in the summer months and warmer in the winter season. The portable barns also have 5/8-inch plywood kickboards and roof decking overhangs. Once you have a new portable barn delivered to your New Mexico property, you can rest assured knowing your barns is built to last and more than capable of providing the protection your livestock needs. 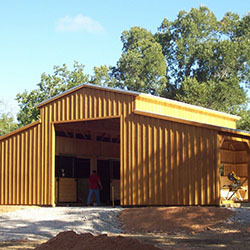 Do you think the portable barns from Deer Creek Structures might be right for you? Deer Creek Structures can tell you more about them and help you pick out the one that would work best for your New Mexico property. Call 254-546-2276 to learn more about how the selection or portable barns for your farm or ranch or to order your new barn today. Find out what sizes are on the lot!